If ever there was a perfect harmony of psychotic and charming..this is it. "Hito Love" Lol, Omg YES! That would be a weird kind of awesomeness! -- I want this as one. I know right?! I wasnt expecting it at all, but I'm so happy they did. It would be awesome if they released a set with the other characters. 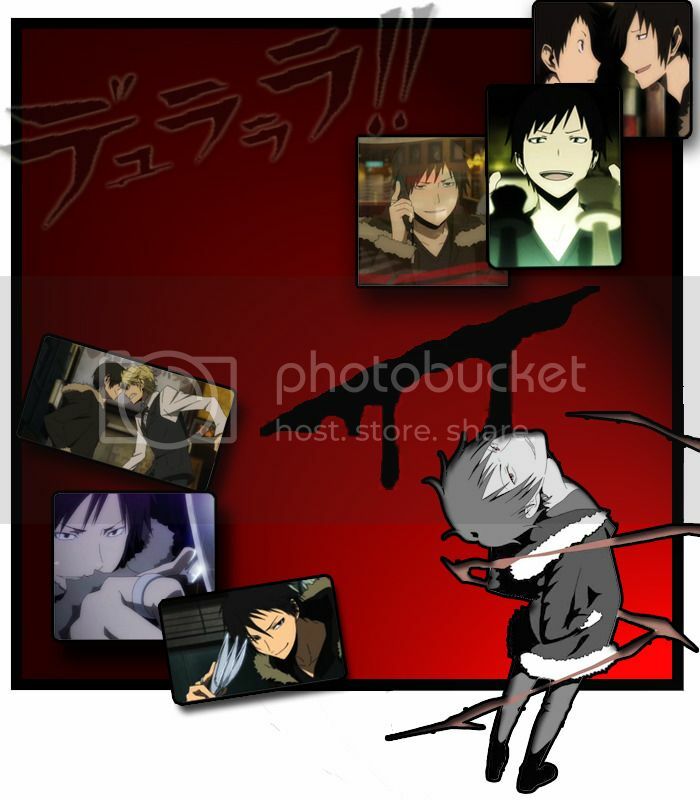 I would love to have a complete Durarara character roster! I'm so glad that they are releasing the little figures of them~. I hope they make another one, too, that has the twins and Shinra, and maybe Erika, Walker, and Dotachin. (x A first I thought the "secret" would be the red-jacketed Izaya, but isn't it separate from the box? Thank you! I need to keep improving the layout and stuff, I'm still working on it. I hope they make more Izaya figures and stuff. With the recent scaled figure and the Niitengo set I hope they keep going, I mean Izaya is fairly popular!